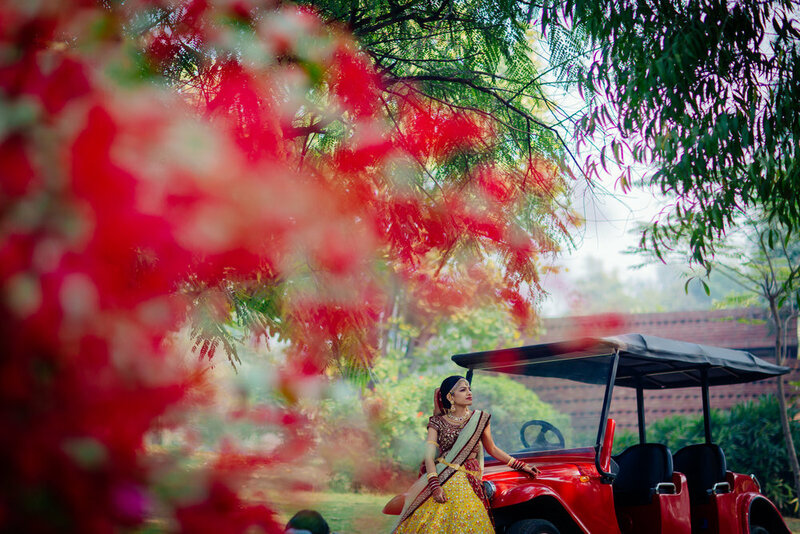 Mansi & Mehul's grand marwari wedding celebrations were held across three days at Westin Sohan. No, not a sufi night with just sufi-themed decor. An actual sufi night, with a real sufi singer - Hamsar Hayat Nizami. Sufi night was the best way to begin the wedding celebrations – where there was no place for fear, only a complete submission to love. 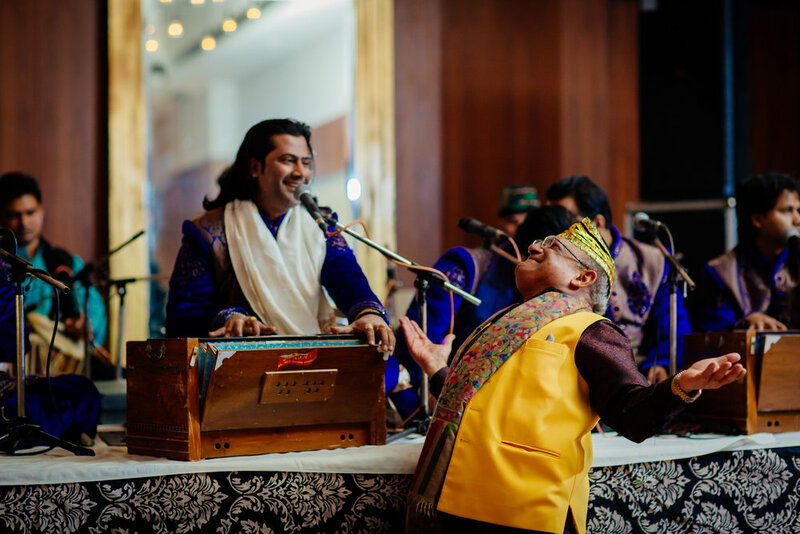 Hamsar Hayat submerged the guests in love as his voice rang through the night. The sufi night was quintessentially Turkish with hookas as flower vases, twirling dervishes, evil eye decor items and Morracan lamps. The next afternoon, a very colourful mehendi ceremony took place. Mansi's inspirational mehendi design had detailed impressions of Radha and Krishna surrounded by authentic and intricate mehendi patterns. She wore a very pretty turquoise lehnga . 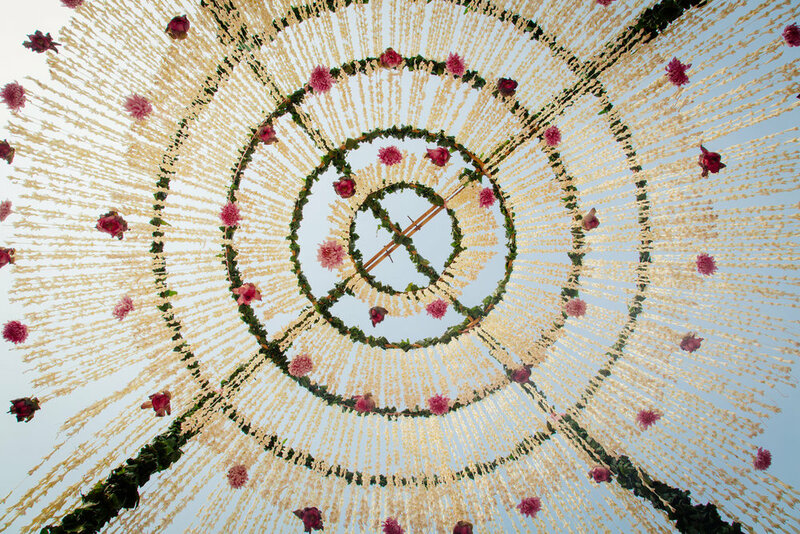 Mehendi decor had quirky Indian elements with bold use of colours and plenty of fun photo-ops. 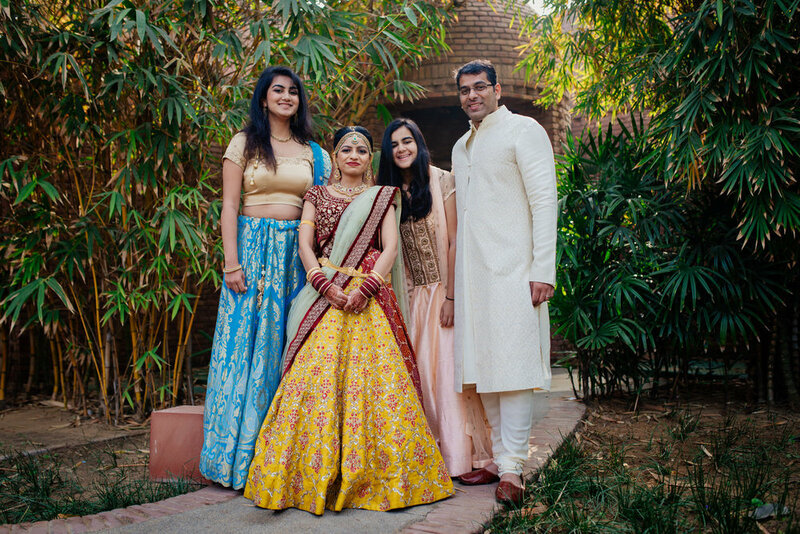 Day three brought this enchanting Marwari shaadi to its finale - The grand wedding! 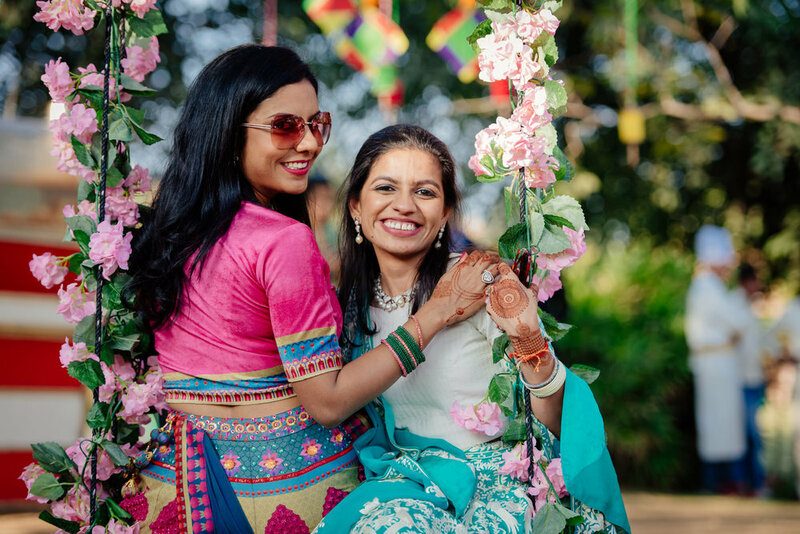 The theme of the day was inspired by the lotus, all pink and turquoise, with huge glass chandeliers and a mandap with hanging lotus flowers from the ceiling.